Most popular yacht or boats for sea fishing. It is a great opportunity for the anglers among us to practice their favourite sport in the beautiful, tropical surroundings of Goa. You can go bottom sea fishing and trawling on the Arabic Sea. Frequently caught fish includes variety. 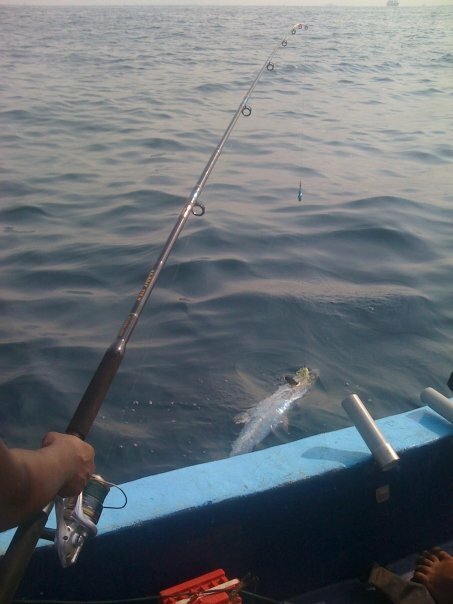 Fishing in Goa is a very famous activity that involves a lot of fun and excitement. The beaches and the tropical surroundings make Goa an ideal place for fishing and it is enjoyed by both locals and tourists alike. Many visitors also find the fishing activity very fascinating as it seems to de-stress the mind due to the sense of achievement one gets after getting a big catch. Fishing in Goa can be enjoyed at various spots like the Agonda beach, Vagator beach, Chapora river etc. There are also many estuaries in the state and one can even try it out in the rivers all along the Goa coast line. While fishing in Goa by boat or private yacht one will come across many interesting varieties of fish. These include Soormai, Salmon, Mullet, Ladyfish or catfish, Rockfish, Stingray, Guitarfish, the local Barramundi and many more. Fishing at the beaches in Goa is quite enjoyable as besides the rockfish, one can manage to catch some stingray and guitarfish. However it is good to choose the quieter and remote beaches so that no swimmers interrupt your catch. Boat Fishing is another form of fishing in Goa that can be enjoyed by a boat or yacht. It includes two forms of fishing known as trolling and bottom fishing. Thus fishing in Goa is a unique experience that helps one have a delightful and enjoyable holiday. Things to carry during cruising for fishing :Sun screen cream, cap, polarized sun glasses, and a camera. You are welcome to bring your own tackle if you do wish so.